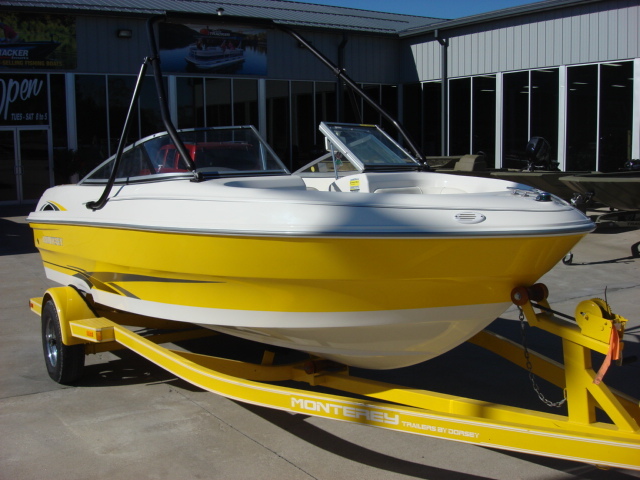 2004 Monterey 180 Edge 18' Open Bow - This is a nice boat powered by a Volvo 4.3 GL 190Hp only 160 hours and SX drive. Comes with a bimini top. 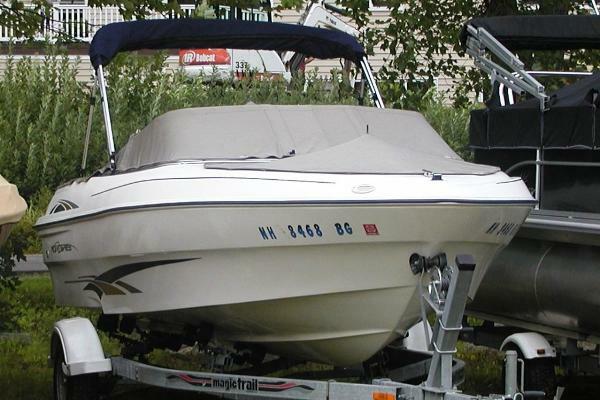 boat cover, upgraded stereo system and much more. Rides on a Trail Rite single axle trailer. 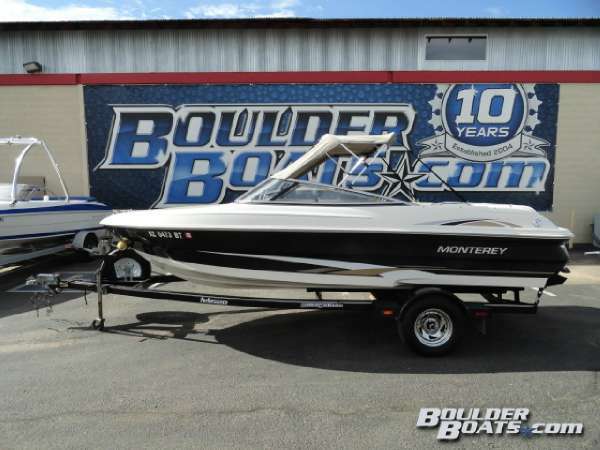 2001 Monterey 180 Edge Clean 2001 Monterey 180 Edge Bow Rider with a 3.0L Volvo 135hp I/O. Bucket helm seat, back-to-back companion seat, engine box with side seats. Bow and cockpit cover, bimini top and a galvanized trailer. Nice package for $6,500. 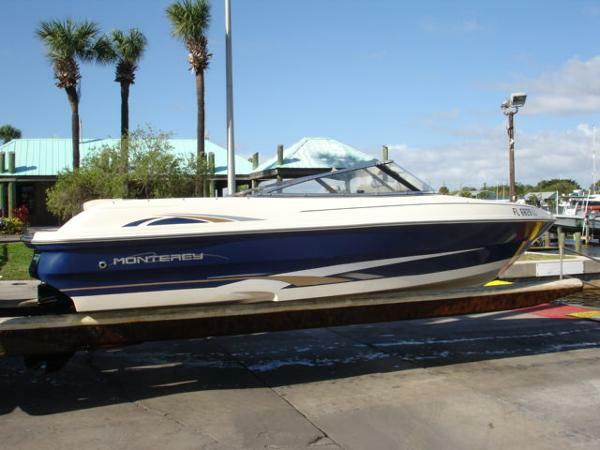 2001 Monterey 180 Edge 2001 18' Monterey bow rider power provided by a Mercruiser 4.0 liter with approx. 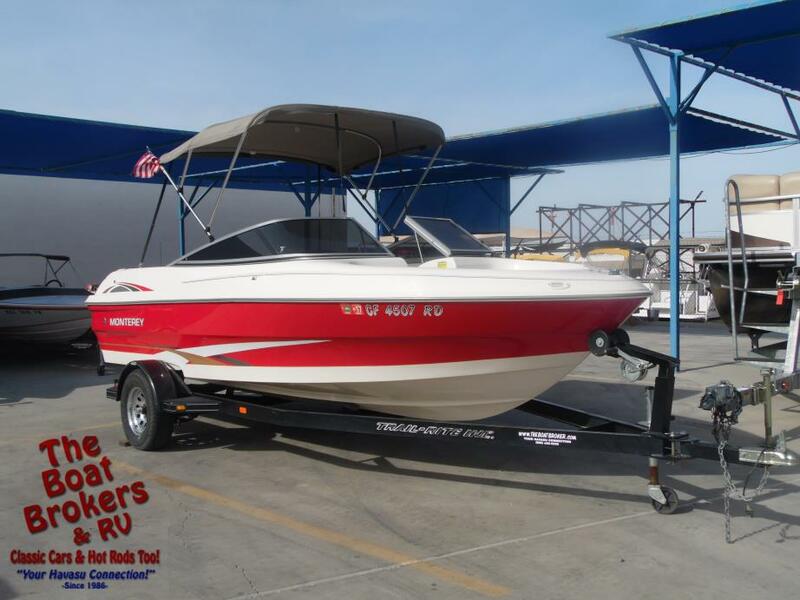 190 hours, includes bimini top, aft cover, and bow cover, dry rack stored nice clean boat also includes 2012 Magic tilt galvanized trailer with swing tongue for easy storage. Compass, stereo, ski tow eye, swim ladder, and engine flush attachment are some other features. Please give us a call for more information and to schedule a showing thank you for your interest.